Futuristic, sporty and high-performing, the Hyundai Veloster is the perfect vehicle for young buyers who crave the speed, power and style of a sports car. At first glance, you'll immediately notice the Veloster is unlike any other vehicle on the road today and that's because it takes style cues from a sport bike. Hyundai's bold hexagonal grille draws eyes to the sports car and is complemented by black A-pillars, which give off the look of a motorcycle helmet visor. This concept is carried out further within the cabin, which dons a fuel tank-like center console and sharp, narrow design elements. For 2014, Hyundai has continued to focus on this theme, but has made a few tweaks to the Veloster's features list. The addition of Torque Vectoring Control and Active Sound Design on Turbo models also enhance performance, improving ride quality. Due to the ongoing success of the Veloster and its special edition RE:MIX model, mentioned in several 2014 Hyundai Veloster reviews, Hyundai has decided to create more special editions in the future and they've made slight upgrades to the 2014 Veloster. Each model now comes standard with daytime running lamps, a driver's blind-spot mirror and a rearview camera - ideal for drivers who require additional assistance getting in and out of tight parking spots. Hyundai Insurance Connected Care, which provides drivers with enhanced roadside assistance, monthly vehicle health reports and automatic collision notification, is also now standard for three years. Additionally, Veloster Turbo models acquire automatic temperature control, allowing drivers to maintain preferred in-car temperature. 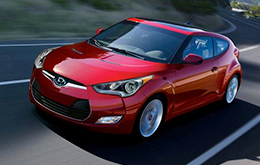 A Gamma 1.6L four-cylinder engine with direction-injection powers the standard 2014 Hyundai Veloster. When matched with a manual transmission, the powertrain delivers 138 horsepower and 123 lb.-ft. of torque, but when paired with a dual-clutch transmission, it produces a lower 132 horsepower and 120 lb.-ft. of torque. The Veloster Turbo, which comes equipped with Torque Vectoring Control and Active Sound Design this year, features a 1.6L four-cylinder with direct-injection. It exerts 201 horsepower and 195 lb.-ft. of torque on regular fuel, exhibiting best-in-class output. To discover more information about the 2014 Hyundai Veloster in Arlington, continue reading below or visit Vandergriff Hyundai today! 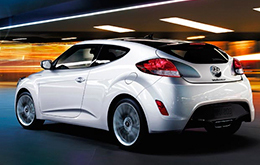 The 2014 Volkswagen Scirocco, Volkswagen GTI, Scion tC, Mini Cooper S and the Mitsubishi Lancer Sportback are eclipsed by the 2014 Veloster in quite a few areas. The Veloster's got several appealing characteristics, including its cutting-edge incar technologies and handsome exterior styling. For Arlington Hyundai customers who want a spectacular value, just compare this vehicle's price to the vehicles listed above and you'll see that it's a good investment. Find out more - Look over the bullets under this paragraph! We take the time to post informative reviews of the 2014 Veloster and other Hyundai models because we want to help make your vehicle search simpler. With the assistance of some of the most exceptional automotive writers in the auto industry, we've managed to get reviews posted online for all of our models. 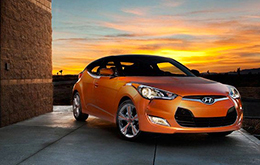 This Hyundai review contains credible information about the Veloster and it's specifications, safety features and more. Is the Veloster not the right pick for you? Learn more about other vehicles for sale now at Vandergriff Hyundai using our reviews index. 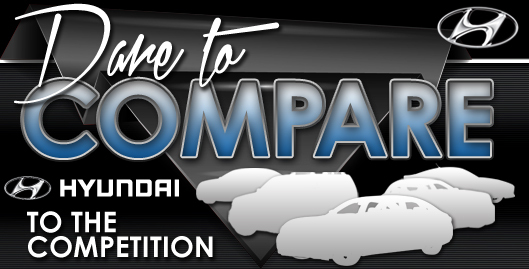 With it you can review and compare Hyundai's entire lineup of vehicles.